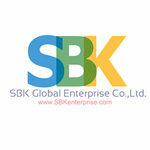 "SBK Global Enterprise Co.,LTd..We 're leading distributor of Phelps Dodge Wire Cable in Thailand. Mask,Nitrile Gloves and All Safety Product with High Quality and authorized ISO. We provide the best quality of product,service and competitive price for you. You can contact us for our support via email below. Best Quality Best service Best price!.